Unisex fit pullover hoody embroidered with Uffculme School logo and 'Leavers 2019' on front left chest. 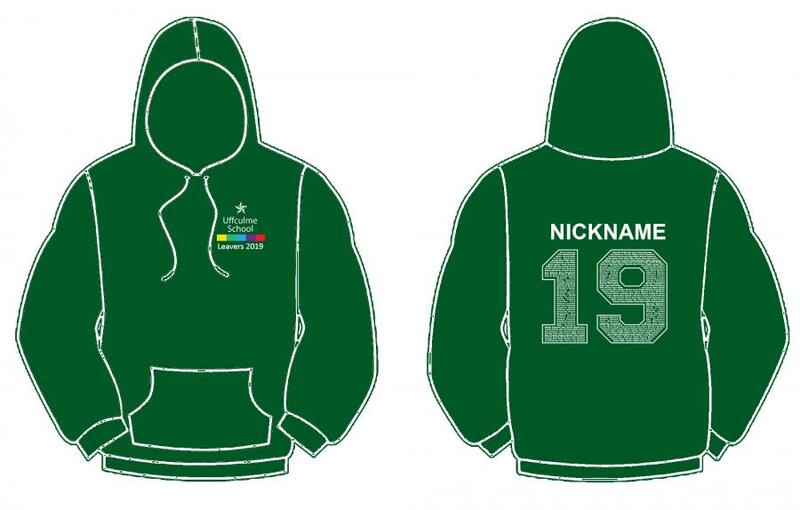 Printed with 2019 leavers design and student names on back. Print colour as shown in brackets next to the colour selection below. Optional personalisation of a nickname printed above the '19' across back.